The SD-WAN industry is on the cusp of meteoric growth through 2018 and continuing for the next few years. A Data Bridge Market Research study found that the global SD-WAN would expand at a compound annual growth rate of 66.2 percent for the period of 2017 to 2024. The sector was valued at over $753 million by the end of 2016. To some degree, growth in the SD-WAN market can be attributed to the technology's widespread applicability. SD WAN is expected to gain considerable momentum in manufacturing, IT, telecom, healthcare, retail and a variety of other industries. Organizations across these sectors are embracing the SD-WAN as mobile-focused technologies become more important to everyday operations. SD-WAN services are maturing rapidly. 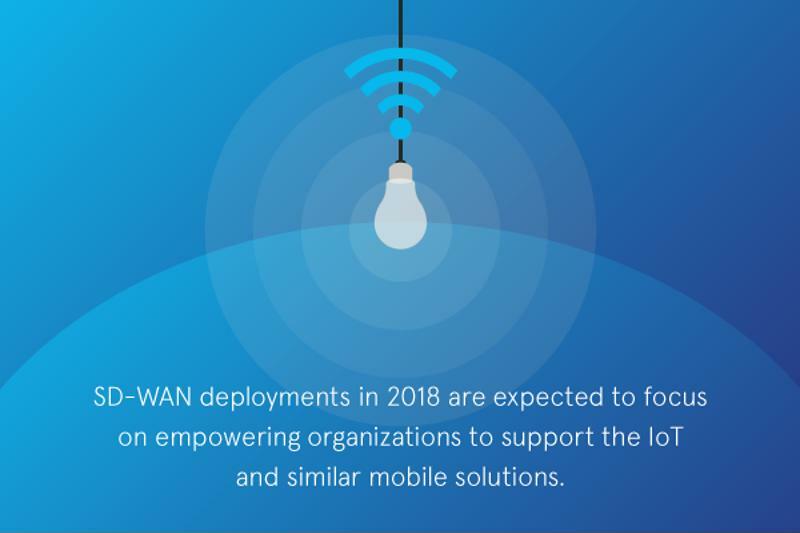 SD-WAN deployments in 2018 are expected to focus on empowering organizations to support the IoT and similar mobile solutions relying heavily on network connectivity. TechTarget reported that companies are increasingly using the WAN as a backhaul solution to move data between their IoT ecosystems and data centers. Finally, SD-WAN offers considerable potential now as an option for companies trying to transport IoT data over Wi-Fi networks at branch locations or remote facilities. With SD-WAN evolving, the technology is beginning to be considered as entering into version 2.0, according to Network World. Today, SD-WAN services are becoming more streamlined and nuanced, giving organizations an opportunity to get more value from the connectivity system. Lee Doyle, of Doyle Research, indicated that SD-WAN 2.0 would be defined by major enhancements to the core solution model. "We're moving from SD-WAN 1.0 to a 2.0 phase," Doyle told Network World. "SD-WAN 2.0 is all about multi-tenancy, improving the management and monitoring and better security." The SD-WAN advances on the horizon for 2018 are exciting; however, any mature SD-WAN must be built on a solid foundation to achieve its full potential. At Fusion, our SD-WAN ecosystem is constructed on the backbone of a powerful, high-performance network designed and managed for redundancy and resiliency. With quality established as the foundation of the SD-WAN service, organizations can expect to get more out of the technology now, even as the underlying network sets a strong basis for ongoing product improvements.